Racquel H. Dozier – The Susie Reizod Foundation, Inc.
Racquel H. Dozier is the founder and CEO of Power Productions Design & Development, L.L.C a professional technical and marketing company. Through her company, she strives to provide an array of learning opportunities for youth interested in advanced technologies. Professionally, Racquel has worked in the Social Work field working with homeless and drug addicted individuals where she was able to assist many in achieving the goal of tapping into their own empowerment to progress to a better life. Racquel has also worked as a computer teacher to students pre-k through eighth in the private school arena. Racquel is very active in educating others about Systemic Lupus Erythematosus, commonly known as Lupus. She is the Founder and President of Lupus In Color a support group that provides assistance and encouragement to lupus warriors. She is also the author of Butterflies of HOPE a book of encouragement to lupus warriors. 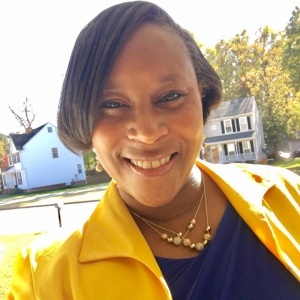 Racquel works diligently in the community with youth and elderly through Mount Olive Baptist Church in Glen Allen, Virginia as well as through Sigma Gamma Rho Sorority, Inc.. She has created Project HOPE to assist teen girls in developing self esteem and self love. She is involved with many civic organizations such as The Urban League, Lupus Foundation of Virginia, Lupus Foundation of America and NAACP. Racquel aspires to start her own homeless shelter and state-or-the-art lupus health facility.